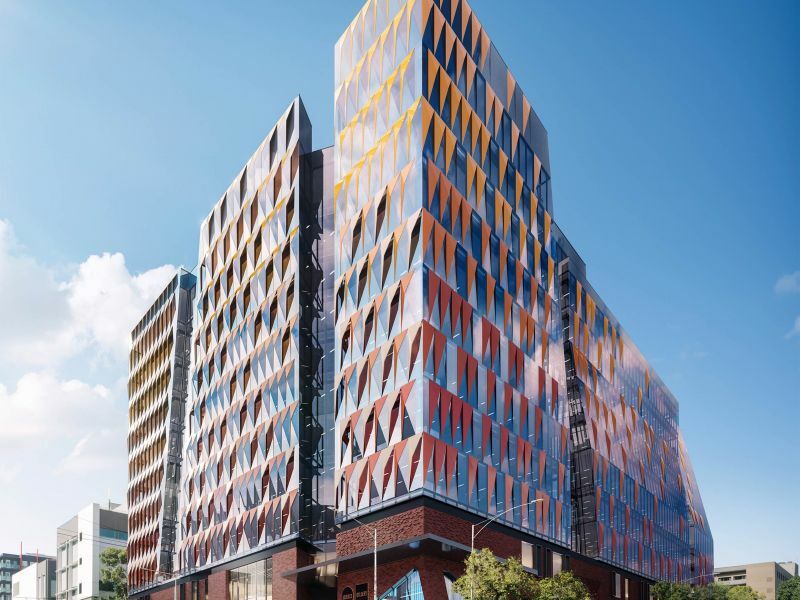 The University of Melbourne, in partnership with a consortium led by Lendlease, is developing Australia’s leading innovation precinct on the former site of the Royal Women’s Hospital, located on the corner of Swanston and Grattan Streets in Carlton. 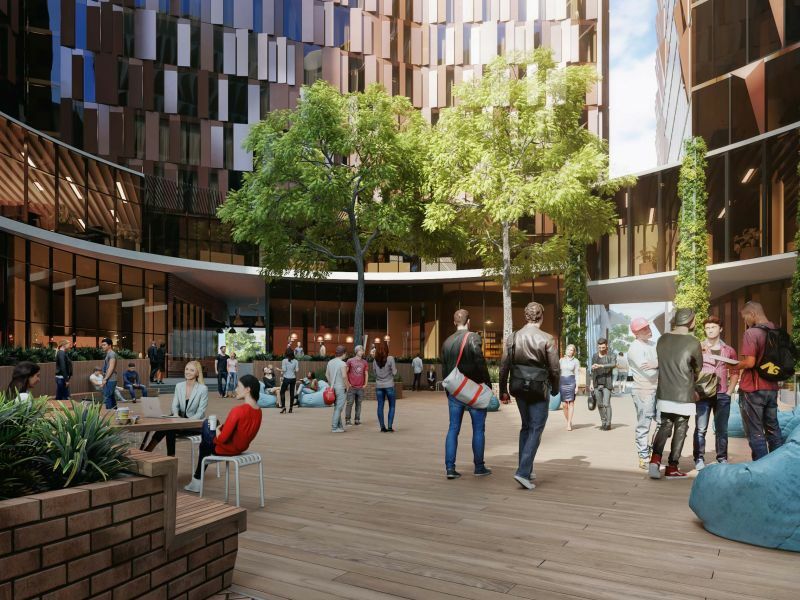 Industry, researchers, government and the community will co-locate within the new precinct and collaborate to develop innovative solutions to major societal challenges. The precinct will provide an environment where great minds from different disciplines collide to turn big ideas into pioneering products or services, particularly in relation to changing technologies, sustainability and resilience. Melbourne Connect will facilitate a dynamic mix of organisations including the Melbourne Accelerator Program (MAP) and programs including Translating Research at Melbourne (TRaM). 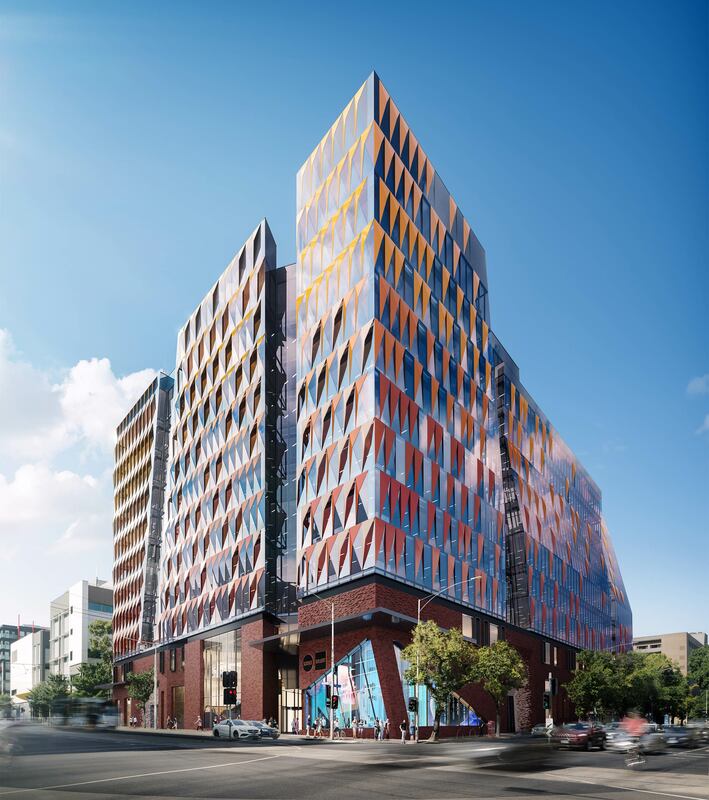 Inspired by global examples such as MIT’s Kendall Square Initiative and Imperial College London’s White City Campus, the Melbourne based precinct will have the tools, platforms and services to facilitate a thriving and vibrant ecosystem that will enhance Australia’s productivity and sustainability. The innovation precinct builds on the achievements of LAB-14, the highly successful prototype which operated for two-and-a-half years (2015 - 2017 and attracted 40,000 people to events such as seminars, exhibitions and hackathons. LAB-14 was an on-site prototype used to test the concept of a new innovation precinct in Carlton. It will provide a home for technology focused organisations, cutting edge research and next-generation startups that will significantly benefit the Australian economy and society. In addition, the precinct will include retail, indoor and outdoor public spaces, student accommodation, offices and a childcare centre. Science Gallery Melbourne will also be a signature destination, inviting young learners to creatively explore the collisions between art and science. Keep informed of construction works, and changes to Melbourne Connect. Slab and structural demolition works will continue this month, including slab and structural demolition with piling works to the north-east corner of the site. There will be an increase in noise and vibration albeit mitigation measures will be implemented to minimise the impact to neighbours. CitiPower will disconnect and remove the kiosk substation along the Grattan St boundary and activate a temporary power kiosk along Swanston St. CitiPower will provide localised traffic management and divert pedestrians during the footpath closures (see attached plan below for pedestrian diversions). It is expected for these works to be completed by the end of August, if the weather permits. Slab and structural demolition works will continue this month, which may incur additional noise, vibration and dust. CitiPower will be placing a temporary power kiosk along Swanston Street, with civil works and activation to be conducted from 18th June to 20th June. During these times, CitiPower will provide localised traffic management and divert pedestrians around the footpath closure as required (see attached plan below for pedestrian diversions). Subcontractor site sheds have relocated to the ground floor of the Old Royal Women’s Hospital carpark in Cardigan Street. To enable the installation of temporary crossovers along Grattan St (near Swanston St) and Cardigan St (near Grattan St) between 13th June and 16th June, there will be a footpath closure between Swanston St and Cardigan St and a partial closure of Cardigan St footpath near Grattan St. Pending a City of Melbourne permit there may be the installation of a temporary crossover along Cardigan St (near Grattan St) in mid-June. Demolition works continue with slab and structural demolition and installation of scaffolding to the Swanston Street gantry. We will be installing footings for a temporary power kiosk along Swanston Street (kiosk to be installed at a later date). We’ll commence demolition to the roof of LAB14 building and commence construction of new site sheds on the ground floor of the Old Royal Women’s Hospital carpark in Cardigan Street. For users of the Royal Women’s Hospital Car Park, please be advised that from Monday 7th May onwards the after-hours door (via Cardigan St) will not be accessible for public use until further notice. The door will be repurposed for use as part of the site works. Car spaces along the North wall and the North-West corner will be occupied for site sheds for an extended period, as per the plan attached. We apologise in advance for any disruption or inconvenience these works may cause. Dental Hospital of Melbourne entry and Grattan Street. Works are planned on May 2, 3 and 4, and during these times pedestrians will be diverted to an alternate pathway. 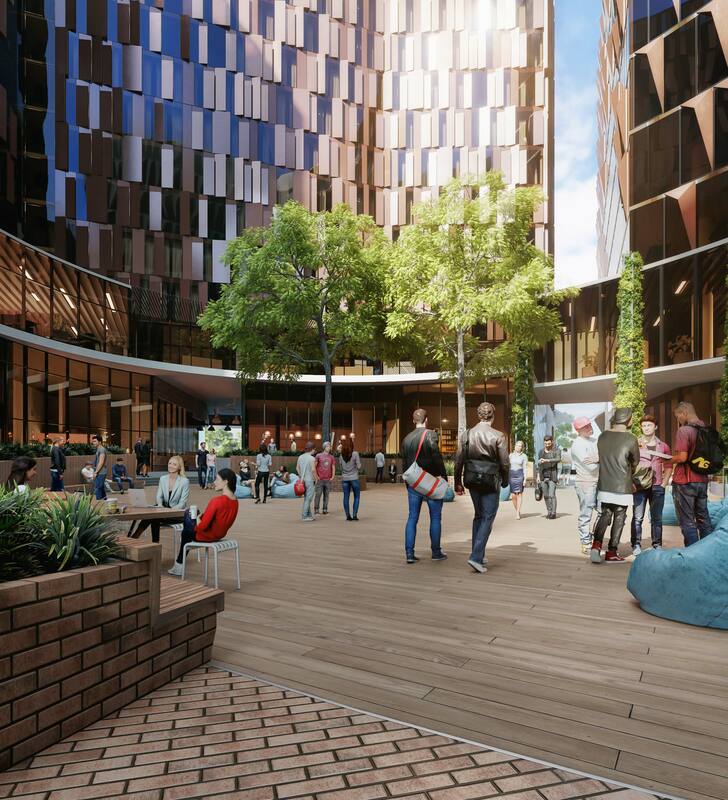 In November 2017, the University of Melbourne announced a partnership with a consortium led by Lendlease to develop the precinct. Early works on the site started in November 2017 and hoardings were installed around the perimeter of the building site. Curation of tenant partners underway. Melbourne Connect Activation Programs to commence. Expected opening late in the year.